Seats in sections A, B, C and D are among some of the best options for impressing a guest at Nationals Park. Seats in sections 140, 141, 142 and 143 come highly recommended for children and families at Nationals Park. 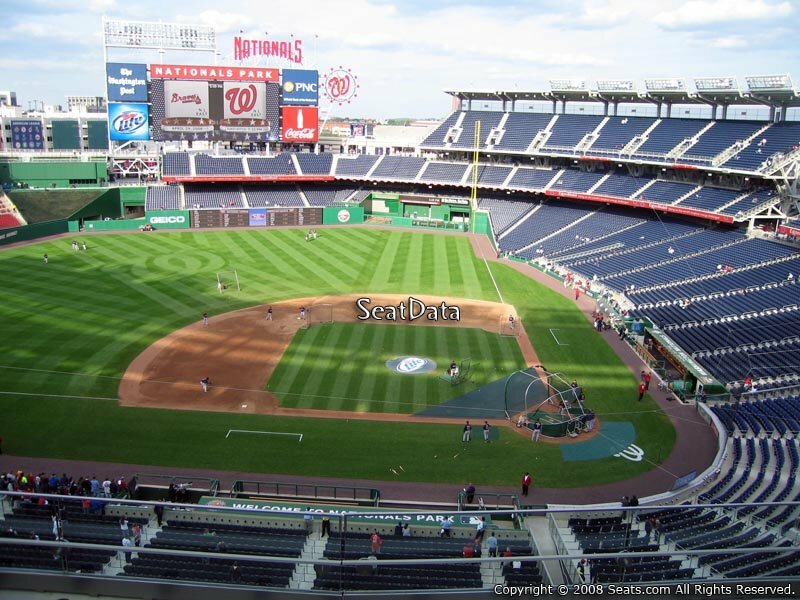 Seats in sections 401, 402, 403 and 404 were hand picked as great places to sit for partying and socializing at Nationals Park. These seats were hand-selected at Nationals Park for being close to a wide-range of amenities and near the concourse for fewer stairs to climb. 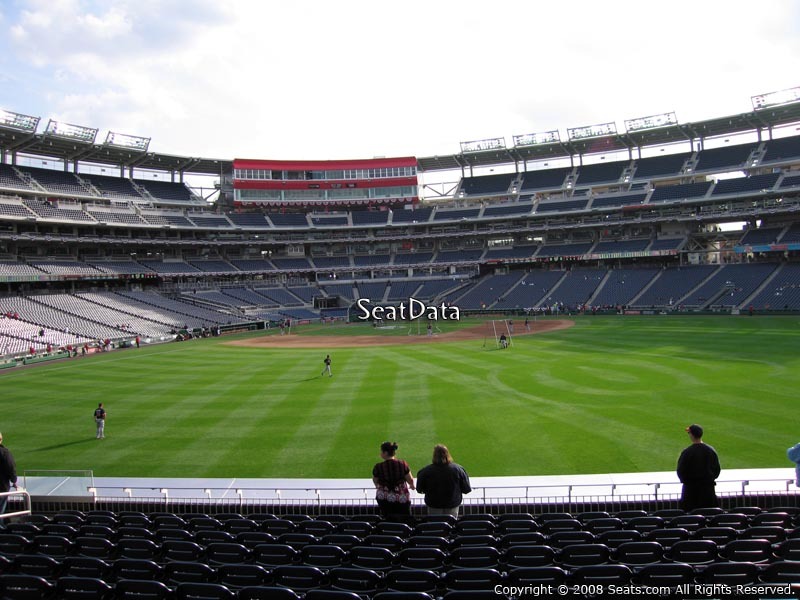 Giving you the best straight away views of the field at Nationals Park from every level of seating. Sections 120, 121, 122 and 123 are where you will find some of the most ideal viewing angles to the very center of home plate, allowing you to sit comfortably without needing a big head turn to follow the action. The Nationals dugout is located just in front of Sections 128 and 129 at Nationals Park. "I recommend any section in the infield gallery that is around the infield" - You can see over the persons head. the tickets are cheap at $28 on the nationals website. decent concessions and very nice view. I recommend any section in the infield gallery that is around the infield. if you get too far out it is not as nice. It is cool hanging over the infield. "Great view" - ★★★★★ - Great section. Convenient to vendors, great view and close to the action. Foul balls all around! "Great, unobstructed view" - ★★★★★ - Really close to the on deck circle, home plate and the dugout. Great seats for a game. "Food choices are lacking" - ★★★★ - Food choices in the upper deck are not anywhere near as good as on the lower levels. "Great shaded seats for a 1:30 game" - ★★★★★ - Close to concessions and restrooms, and in the shade for whole afternoon game. "Good seats for cheap but prefer the bleachers" - ★★★★ - Very high up but does not look high at all when you are at your seats. "GREAT VIEW, GREAT CROWD, AWESOME FOOD&DRINK SELECTIONS" - ★★★★★ - We had 2 seats, we enjoyed the view and Loved the atmosphere!! "Bar on railing completely blocked out home plate, the pitchers mound, and second base" - ★ - The Nats should be ashamed to take money for this seat. "In the shade as promised. Great views of the game. Concessions very nearby." - ★★★★★ - All good excusing the loss by the Nats! 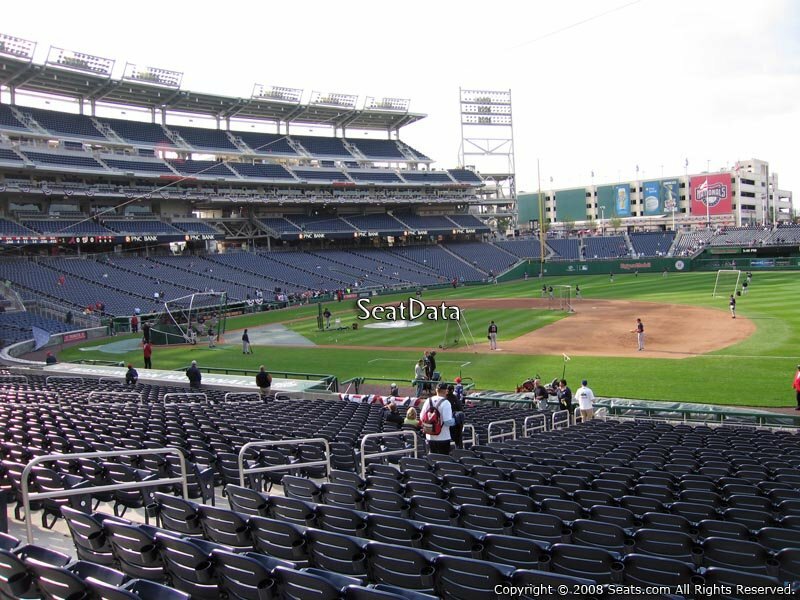 "San Francisco Giants at Washington Nationals - Apr 17, 2019" - ★★★★★ - great seats. Is there a Row I in Section 142 at Nationals Park? How many seats in Section 133 Row EE at Nationals Park? 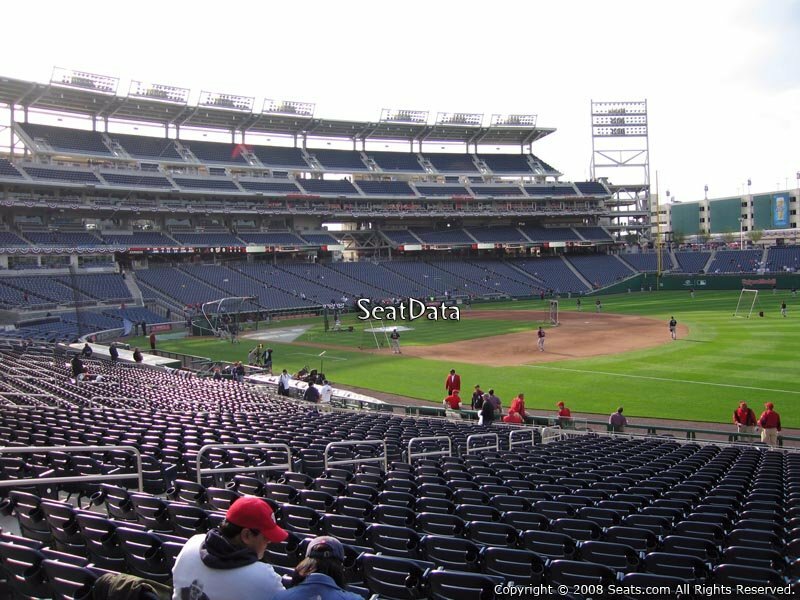 How are the seats numbered within a row at Nationals Park? 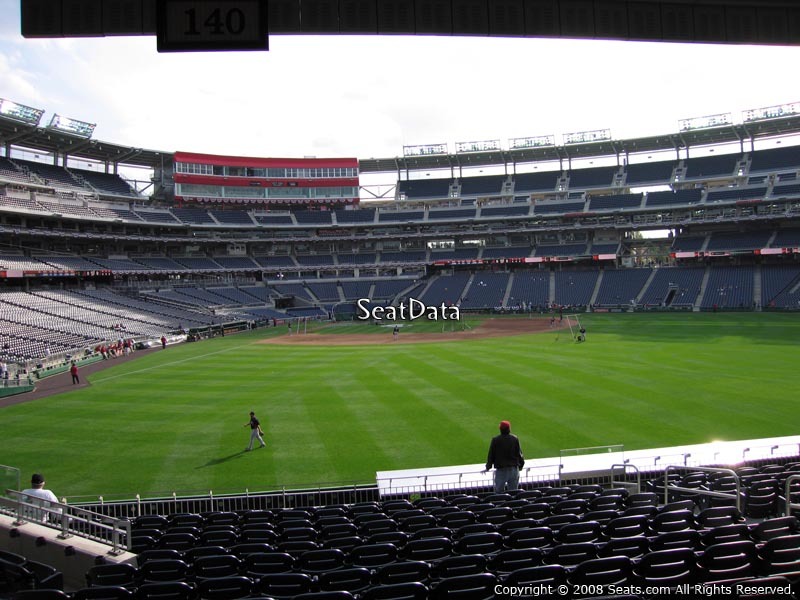 Which Seats are on the Aisles in Section 129 at Nationals Park? 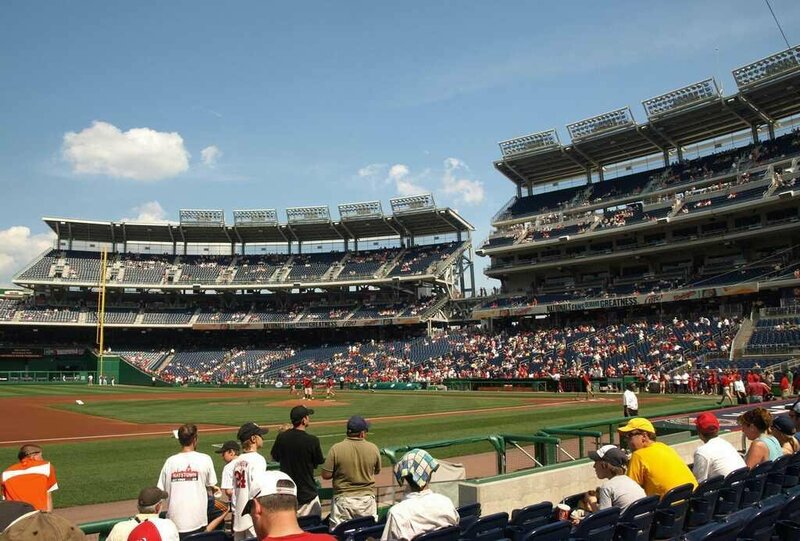 Which seats are best for families with children at Nationals Park? Where is Section 114WC at Nationals Park? How many seats are in Section 115 Row F at Nationals Park? How many seats are in Row J of Section 211 at Nationals Park?